1.3.1 Revises text, including changing words, sentences, paragraphs, and ideas. · Uses multiple resources regularly to identify needed changes (e.g., writing guide, checklist, criteria, adult, peer). · Selects specific details relevant to the topic to extend ideas and develop elaboration (e.g., multiple examples, statistics, anecdotes, reasons). 3.1.2 Analyzes and selects an effective organizational structure. · Writes unified, cohesive paragraphs (e.g., supporting examples in order of importance, paragraph topic connected by transitions). · Publishes material in appropriate form (e.g., slide show, brochure, postcard) and format (e.g., colors, font, layout, key words and phrases instead of sentences) for visual and dramatic presentations (e.g., readers’ theater script). · Identifies aspects of the author’s craft (e.g., point of view, purpose, bias). 4.1.2 Analyzes and evaluates own writing using established criteria. 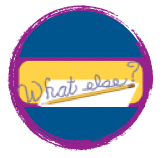 · Explains strengths and weaknesses of own writing using criteria (e.g., WASL, classroom-created, or 6-trait rubrics; scoring guides specific to purpose or form of assignment). 4.2.1 Evaluates and adjusts writing goals using criteria.